When it comes to video games, there are plenty of opportunities for car manufacturers to design special cars or have artists create something unique that fits into the universe. Sometimes, real-world prototypes of these vehicles are created for marketing or PR stunts. Below is a list of five rare cars that are either included in video games, or have been inspired by them. The release of the long-awaited Final Fantasy XV (initially called Final Fantasy Versus XIII) has been a resounding success for Square Enix (SE). One of the weirder collaborations to promote the game — besides Nissan cup noodles — has to be with Audi and SE. 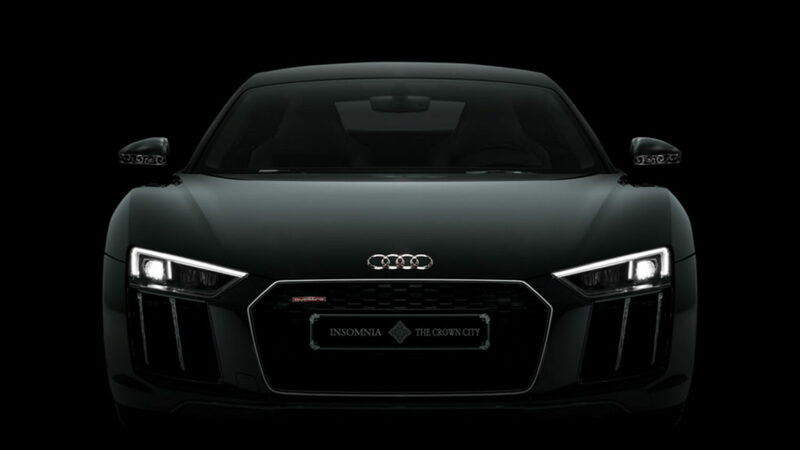 The pair joined forces to release an extremely limited edition “The Audi R8 Star of Lucis”, which is basically a modified Audi R8. The car was featured in the Kingsglaive: Final Fantasy XV prequel tie-in movie, for those who could actually sit through it. The question is, how would you have gotten hold of one of these? Well, only one was ever produced and you had to enter a raffle for the chance to purchase the car. Yup, you could have won the chance to purchase this R8 for a cool 50,000,015 yen, or just under US$470 000 at the time. That’s asking quite a bit just to complete your Final Fantasy XV collection. You may be better off picking up a used Audi in SA. This may be a better deal than the Final Fantasy Audi R8, but only marginally. In order to celebrate the release of GRID 2 on the PlayStation 3 (the Xbox 360 receive no love in this regard), developer Codemasters decided to release an ultra limited edition of the game, which included an actual racing car. Yup, only one person would net themselves an F3 Briggs Automotive Company (BAC) Mono supercar with GRID 2 decals. How much would this special edition of GRID 2 have set you back? Well, just a mere £125 000, which was around US$188 700 at the time. Though that’s not all you would have received. For that one-eighth of a million pounds, you would have received a copy of the game, a day at the BAC factory, as well as special edition GRID 2 helmet, gloves, and racing suit that was made to measurement. Why couldn’t SE include a copy of Final Fantasy with their car as well? The Warthog is probably one of the most iconic vehicles in any video game, and a staple of the Halo series overall. Hey, if you’re car appears as a Mega Bloks kit, then you’ve made it. This three-person all-terrain buggy has guided countless heroes through millions of battles. Not to mention its flimsy controls have sown the seeds of many a war story gone wrong. Though a few people have built their own versions of the Warthog, Microsoft actually had one commissioned for 343 Industries. It was built using a Hummer H1 chassis, so you can imagine it’s a pretty big vehicle. Just imagine cruising down the highway in one of those… well, sitting in traffic if you live in Cape Town or Johannesburg. L.A. Noire set the bar for realistic facial features in video games, not to mention its gumboot story was pretty gripping as well. If you are a car nut, then one of the highlights of the game was a playable Phantom Corsair. There are only one of these in real-life, but this time it’s not because of game developers. A prototype for the Phantom Corsair was built in 1939. It’s designer Rust Heinz planned to put the car into limited production for US$12 000 at the time. Before these plans could come to fruition, Heinz was killed in a car accident in 1939. Though there may be a single one of these beauties, it was considered ahead of its time due to the design, low profile, and features. Who doesn’t remember the CEO of Sony, Kaz Hirai, awkwardly shouting “Riiiidge Racer!” at the company’s 2006 E3 conference? For the longest time, Ridge Racer was iconic in arcades and the PlayStation series of consoles, but has since tapered off. Only one of its fictional racing cars was made into something real, the Yamasa Raggio. Covered in different brands and sporting a red colour, the Yamasa Raggio’s prototype version was powered by a NSX 3.2-litre V6 with DIC-R fuel injectors. It was created by Project Mu in 2006. Some say Hirai is still driving the car around Tokyo, screaming the game’s title, while playing on his PSP.